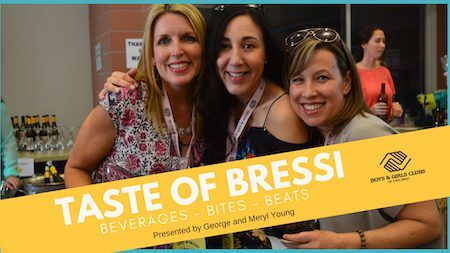 On March 9, 2019 join supporters of the Carlsbad Boys & Girls club as they help raise money for the organization with the 8th Annual Taste of Bressi event. Serving some of San Diego’s finest ales, lagers, wines, and all sorts of spirits from 20 plus adult beverage vendors. In addition, an array of local restaurants will be in attendance passing out taste treats. 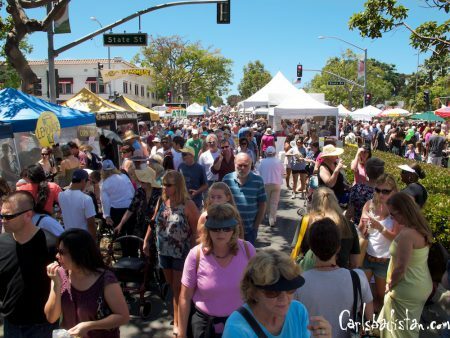 Restaurants, breweries, wineries, and distilleries are being added daily – an up-to-date list of all the participants and can be found on the event website. For all the details on what is one of Carlsbad’s best fundraisers and how you can buy tickets, follow the jump. 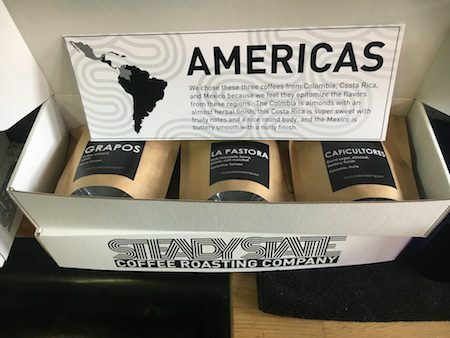 Our favorite Carlsbad coffee spot, Steady State Coffee Roasting Company is currently offering two amazing sample boxes that are perfect for the coffee lovers on your list: Taste of Ethiopia, and The Americas. Both boxes are custom branded and include three 100gram pouches of whole roasted coffee, and an information card about each farm. They are available in the shop and make the perfect holiday gift. Drop by Steady State and pick up a couple boxes for the ones you love. Steady State is located at 2680 State St., B, in the heart of Carlsbad Village. Chain seafood restaurant Bluewater Grill has finally opened their Carlsbad location, in the old Fish House Vera Cruz location at 417 Carlsbad Village Drive, according to story on NBC San Diego. The menu offers sustainable seafood and shellfish – some of it caught off the California Coast by the restaurant’s harpoon fishing boat, Pilikia. . . Lunch and dinner menus created by Chef Art Garcia feature up to 40 varieties of fish. . . The restaurant also will offer a kids menu certified by the National Restaurant Association’s Kids Live Well program. We’re looking forward to checking it out soon. 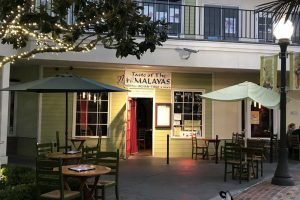 To celebrate National Taco Day (officially on October 4) Carlsbad-based Rubio’s Coastal Grill is offering up deals all day on Tuesday, October 3, as part of their Taco Tuesday Celebration. 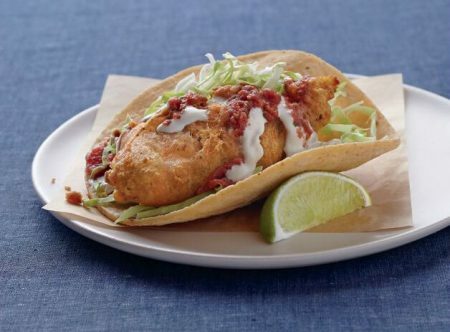 In addition to $1.75 Original Fish Taco and $2 Original Fish Taco Especial, taco-lovers can get a special Original Fish Taco topped with citrusy Mango Salsa for $2.25, which will be available on October 3 only. Guests can cheers with $1 off all alcohol (including craft beer, sangria and wine selections) after 2 p.m. Rubio’s has two Carlsbad-area locations, in the Carlsbad Outlet Mall at 5620 Paseo Del Norte #128, and at 2604 El Camino Real. Good deals are good deals. 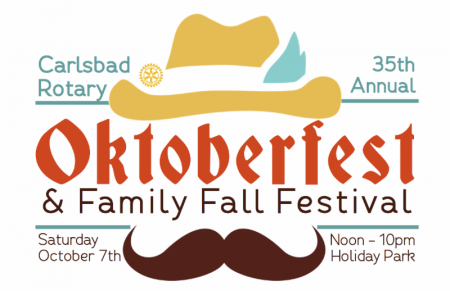 Yes, it’s that time of year again when the kids are back in school, the sun has finally come out, and Rotarians from Carlsbad are out celebrating the season with Oktoberfest & Family Fall Festival at Holiday Park. The festivities begin at noon on October 7, 2017 and continue on until 10 PM. Click here for a map of events, here for the schedule, and here to buy tickets. For all the official details please follow the jump. While we really enjoyed Relm during it’s time, we’re looking forward to a new season. But don’t worry, the wine bar is remaining! During the closure we’ve rejuvenated the space and reimagined the wine and food menus, and we can’t wait for you to experience the new O+E. OAK + elixir will celebrate its grand opening on Friday June 2, 2017 at 6:30 PM. If you like wine, beer, and food (and from the looks of this town everyone does) then drop by and say hello. For the official word from OAK + elixir, please follow the jump. 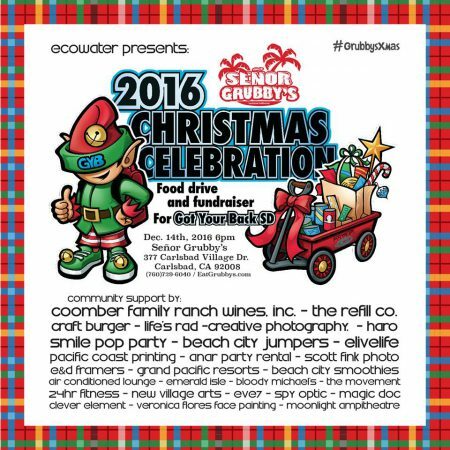 Señor Grubby’s is holding their 5th Annual Community Christmas Party to benefit American Relief Organization’s program, ‘Got Your Back San Diego’, taking place on Wednesday, December 14, 2016 from 6-10pm. There will be raffles, entertainment, swag bags with goodies & event t-shirts designed by Ray Goudey for the first 100 guests. All the fun is to raise money, food & awareness for ‘Got Your Back’. Señor Grubby’s is located at 377 Carlsbad Village Drive, in Carlsbad, California. Som snow may be in the forecast. Follow the jump for all the details.